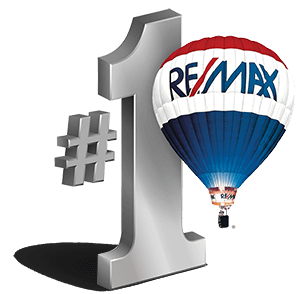 Kim Simpler Hook is a top producer in beach home and property sales in the Bethany Beach, Fenwick Island and Inland, Delaware real estate markets. If you can't relax here . . . you can't relax. Working with Kim Hook was a very positive experience. She appreciated the value of our home and readily conveyed that to potential buyers. Throughout the process of marketing and selling our home, Kim always was attentive and very responsive to our needs. The entire experience was absolutely positive. We would highly recommend Kim, and are most appreciative of her diligence and professionalism. Anyone would be lucky to have a realtor like Kim. The peaceful, scenic Bethany Beach and Fenwick Island, North Bethany and South Bethany beaches and the small surrounding towns located just minutes to these beaches, offer you the perfect opportunity to relax and enjoy in what we call Delaware's "Quiet Resorts." Whether your choice of Bethany Beach real estate is oceanfront or one of the small "inland" towns, any homeowner will enjoy our pristine, protected shoreline and bays. Spend the day crabbing, fishing, clamming, and boating, or just relax and take in one of our amazing sunsets. A lifelong Delaware resident with over 20 years of real estate experience, Kim Simpler Hook specializes in helping people find their dream homes in Delaware's pristine and scenic "Quiet Resort" areas. Kim will keep you up to date with area real estate trends and availability throughout Bethany Beach, Fenwick Island and Inland, Delaware.